Despite all the palm-sized power we benefit from on a daily basis, smartphones and tablets do experience some notable weaknesses. The biggest culprit? Volume - more specifically, the lack thereof. While the experience can vary, the overall result is the same. Maybe you’re in an airport or crowded shopping mall, attempting to have a voice conversation over speakerphone. Or you could be trying to listen to music while sitting on a park bench, as a rushing wind or rowdy squeals of children playing nearby swell in intensity. Perhaps you just want to enjoy an audiobook while cooking dinner in the kitchen, yet keep the device far enough away to be safe from spills and splashes. 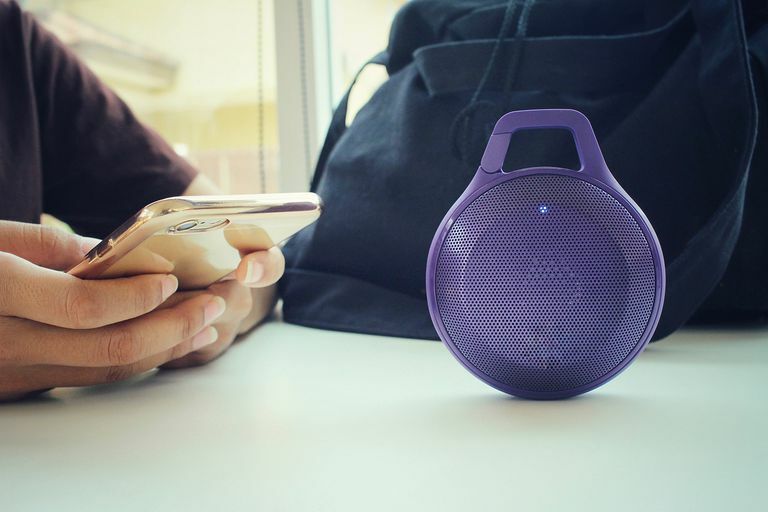 It’s understandable that one won’t always have headphones/earbuds or a portable speaker handy for every single occasion (although there are some incredibly compact options that are easy to carry and can work in a pinch). If you’ve owned different devices in the past, you might have noticed that they don’t all share the same max volume level. Read on to see which of these ideas will work for you. It seems like a no-brainer to check a device’s settings, right? But it’s best to start with the basics, especially since new updates to the operating system often add features or options that weren’t there before. Open up your device’s settings menu (for Android) or control center (for iOS) and find where you can adjust the system’s sounds. Within that menu option should be volume sliders for each of the different audio types: ringtone, notifications/alerts, system, alarm, media, etc. Make sure volume for media is turned up to the max by sliding it all the way to the right. While you’re still in the same sound/audio settings menu, take a look to see what other audio adjustment options may be available (especially if you are using an Android device). These might be labeled as equalizer or sound effects or adaptive sound — the words/terminology can vary based on the manufacturer, model, carrier, and/or operating system version. If there is something that might boost volume, try it out! Keep in mind that you may or may not have any additional sound settings to tweak (more or less as a direct result of the manufacturer, model, carrier, and/or operating system version of the device). If a maxed out media volume slider still isn’t enough for you, then the next step is to install a volume boosting app. There are plenty of options (even ones that are free) available from Google Play and the App Store. And the good news is that you don’t need a rooted device at all (although you may find some apps that are only for rooted/jailbroken devices)! You can expect to hear a significant increase in overall volume right away. Just keep expectations tempered since we’re talking about enhancement and not miracle-making. Many of these apps offer comprehensive features in addition to media volume control, such as multi-band equalizer adjustment, audio presets, bass boost, widgets, music visualization effects, various modes, speaker/headphones settings, and more. It’s worth testing out a few to see which you prefer the most. Some app interfaces are simple and straightforward, while others can be complex and extravagant. Some apps might harass you with ads or none at all. Some developers update their apps more frequently than others, and not all apps are perfectly compatible with every make/model or OS of smartphone/tablet. You can also take a look at other music/media player apps because some offer volume-enhancing features built-in. Not only are these music apps often better than the stock player that comes pre-installed on devices, but it means having one less app in your library (if you care about such things). If you feel more daring and determined (and are aware of), there is also the option to root an Android device or jailbreak an iOS device in order to gain greater control — think superuser access beyond the manufacturer’s imposed limitations. Performing a root/jailbreak would let you push volume up as you please. However, despite having the power to fine-tune your device with custom apps/software, there are consequences of rooting and risks of jailbreaking to consider. So be extra careful, because it's possible to permanently and irreversibly brick your phone. The practice is more welcome with Android OS, as the Google Play store hosts (and scans/verifies) hundreds of apps designed to work specifically for rooted devices. Otherwise, iOS users can visit Cydia for third-party apps. In order to get the most volume from your smartphone/tablet, you should know where its built-in speakers are. On newer iPhone models, they flank the Lightning connector port at the bottom. Although locations can vary a bit with Android smartphones (depending on make/model), you’ll often find the speaker somewhere on the back. But sometimes, as with some Android tablets, the speakers can also be found on the bottom. Once you’ve identified the locations, make sure that any protective case being used with the device isn’t blocking the speaker ports. Not all cases/covers are designed with optimal audio flow in mind. It’s also helpful to have a basic understanding of how sound waves work. If your device is the kind that has a speaker on the back, set it screen-side down so that the speaker faces up. You’ll be better able to hear, since the audio/music won’t be muffled by the resting surface. Another option for a device with a rear-firing speaker is to lean it up against something hard. This way, the sound waves reflect back towards you (think like if you placed a mirror behind a light source) instead of being aimed away. This is particularly effective for when you’re watching video, since you can also see the screen. Another thing to try is sticking the device in a bowl or large cup — more easily done with smartphones than tablets for obvious reasons. The shape of the container will help redirect the sound waves in a more focused pattern as opposed to an omnidirectional spread. As a result, your device’s audio output will be amplified, but only if you’re in the right spot. Since you can’t see the sound waves, you’ll have to play around with the positioning a bit. Sure, you’re not expected to bring dishware when you’re out and about, but a bowl or cup works in a pinch when you’re at home. Keep in mind that results will vary based on the geometric shape of the container. The majority of smartphone/tablet cases are made so that they leave the device’s speakers uncovered. The rest of the cases available on the market will either block the speakers or — if you search carefully — enhance them. Products, like the Speck CandyShell Amped (for smartphones) or Poetic TurtleSkin (for tablets) provide sound amplification features. Protective cases like these have built-in channels that are designed to redirect and amplify the sound waves, leading towards an output that you can hear better. This can be especially convenient for those times when you’re left holding the device (i.e. no opportunity to lean it up against or put it inside something else). However useful, such products aren’t available for all makes and models of devices. If the idea of a smartphone case offends your aesthetic sensibilities, you can always opt for a sound amplifying stand/dock/cradle. As with sound amplifying cases, these stands/docks/cradles are designed to redirect and channel sound so that it’s aimed at the user. Most that you’ll find are made of finished wood, although they can also be made of plastic or silicone. Some are compatible with only the iPhone (and sometimes iPad), while others are universal and also work with select Android smartphones. Since these stands/docks/cradles are compact and require no energy, they’re reasonably light and easy to carry around. It’s worth noting that the better ones have cutouts for cables, allowing you to plug in and charge your device. For those times that you want to play music through a connected speaker, yet are unable to achieve the desired volume level, use a portable DAC AMP to boost decibels and improve audio quality. These accessories can range from being as small as a pack of gum to about the size of a standard smartphone. Sure, it may be one more thing to carry. But when you need additional power to drive speakers or headphones with authority, a portable DAC AMP is the way to go. If you’ve tried all options up to this point and still aren’t satisfied, then you may have to settle for a portable speaker (often featuring Bluetooth wireless connectivity) or a set of earbuds. Yes, we know it’s one more thing to carry around and charge. But some speakers, like the Anker SoundCore Nano, are astonishingly loud for being so super tiny! Plus, a separate speaker is generally more capable of delivering welcome amounts of volume without much sacrifice to quality (at least when comparing to built-in speakers on smartphones/tablets). Prefer more privacy when listening? Then go for a compact, truly wireless set of earbuds, such as the Bragi Dash or Apple AirPods. Ones like these are far more portable and discreet versus regular on-ear or over-ear sets of headphones. You can get the volume and convenience while still saving space and traveling light. If that's still not enough, be confident knowing that there are accessories which will provide a bigger boost. While it can feel cumbersome to have one more thing to carry around, many accessories are compact, lightweight, and offer additional features to make it all worthwhile. Audio quality can drop significantly (e.g. distortion, sibilance) once the volume reaches a certain point. Speaker hardware can end up damaged/destroyed if pushed too far beyond what it can effectively handle (via software/apps). Always take care to install apps from trustworthy/reputable sources, whether they're for rooted/jailbroken devices or not. Be fully aware of all the risks of rooting/jailbreaking prior to making that decision with your device.